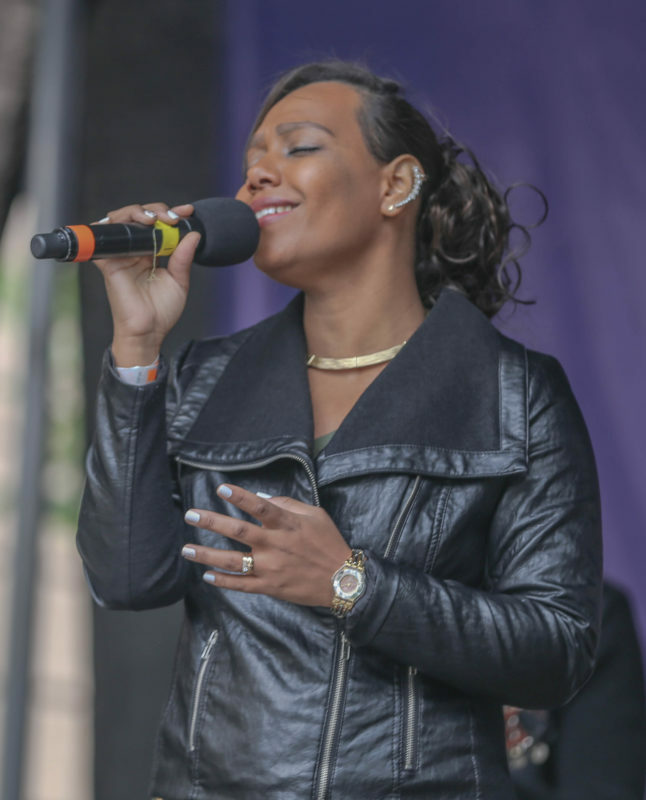 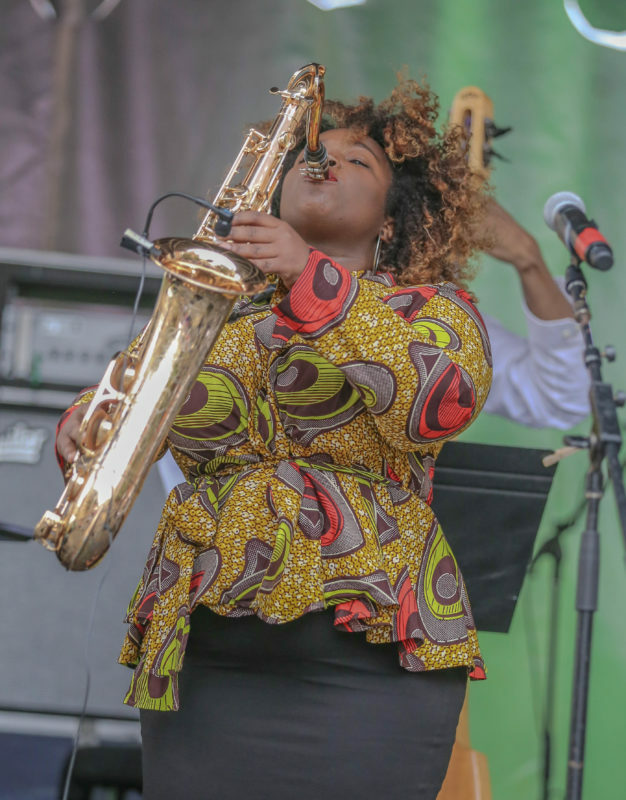 Despite rain that was at times heavy, the 2017 edition of the Berklee Beantown Jazz Festival came off as planned. 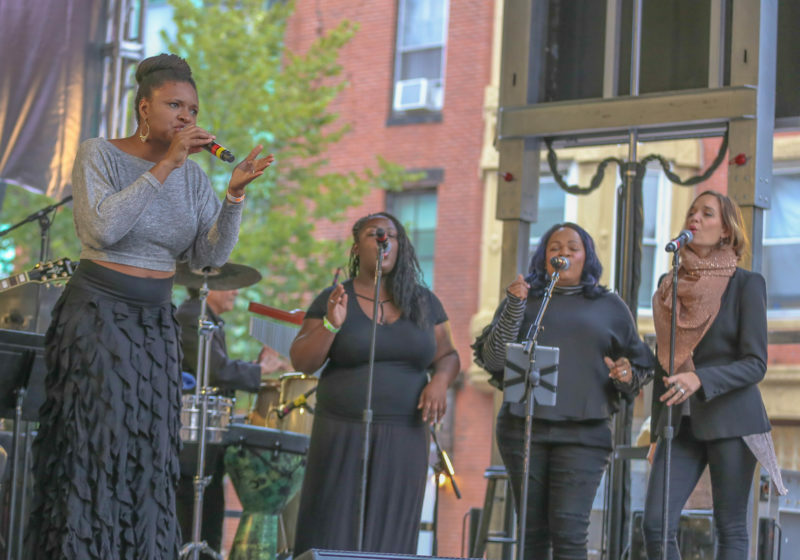 The festival is a one-day event that takes place on three stages set up on Columbus Avenue off Massachusetts Avenue, not far from the Berklee campus, in the Roxbury neighborhood. 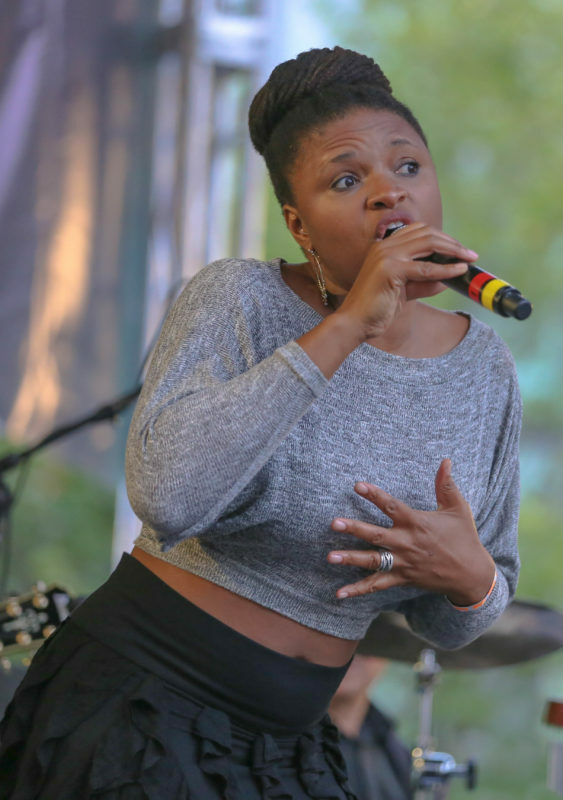 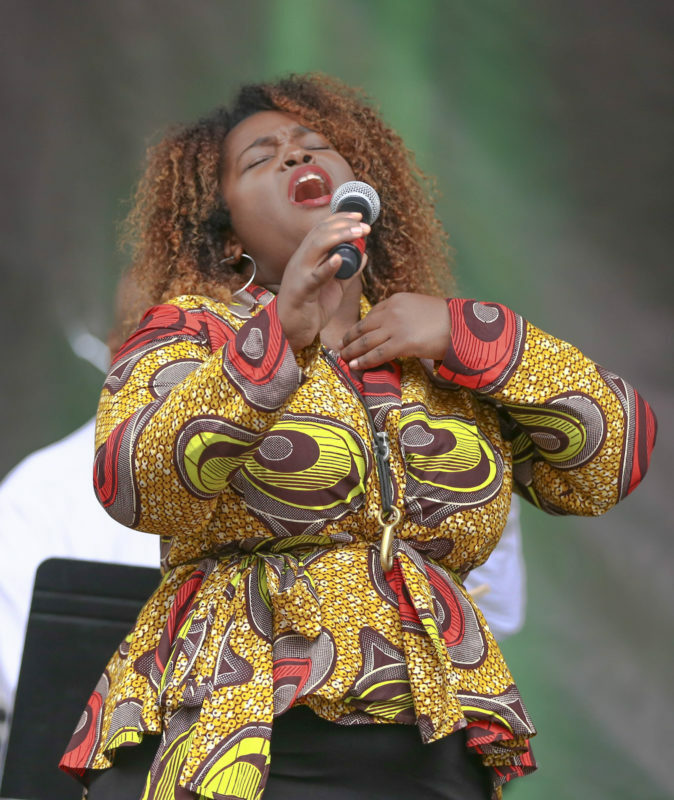 Among the performers appearing at this free festival were Lizz Wright, Jazzmeia Horn, Camille Thurman and Emily Estefan (the daughter of Latin music stars Emilio and Gloria Estefan). 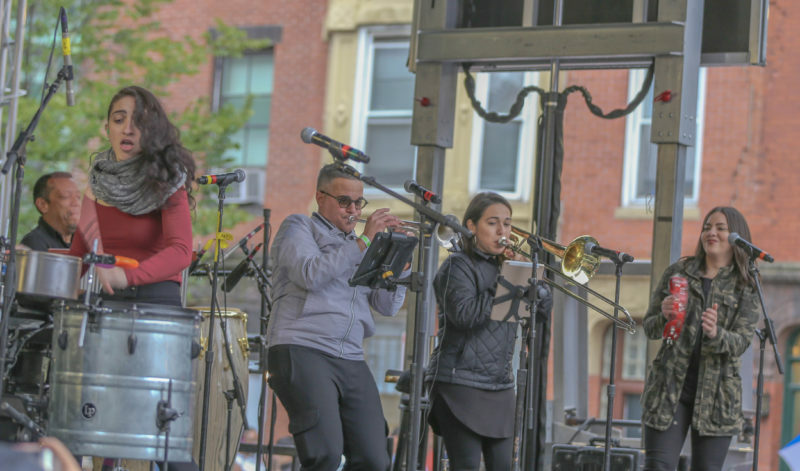 Several student ensembles performed as well at the Beantown fest. 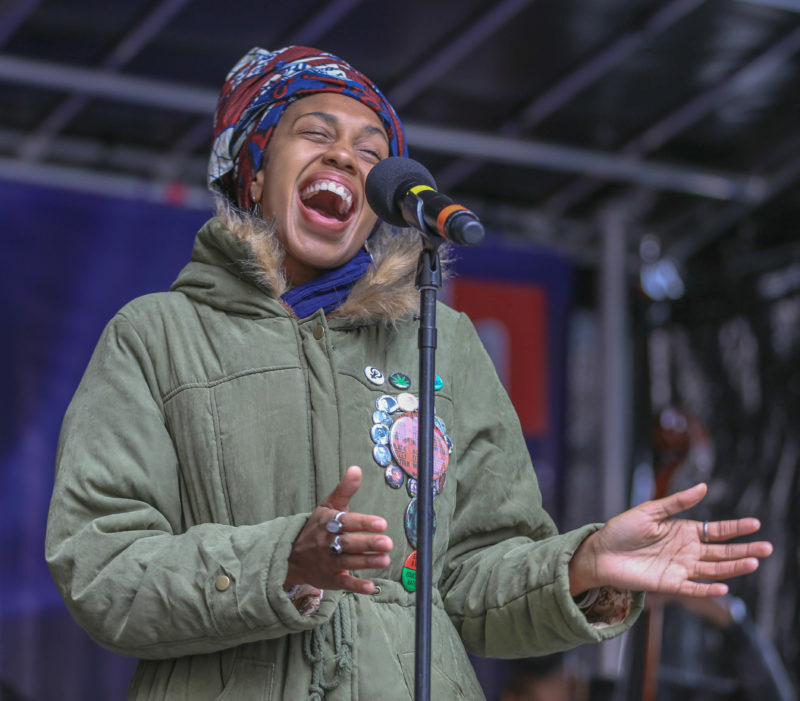 Photographer Joseph Allen was there to capture some of the performances on camera. 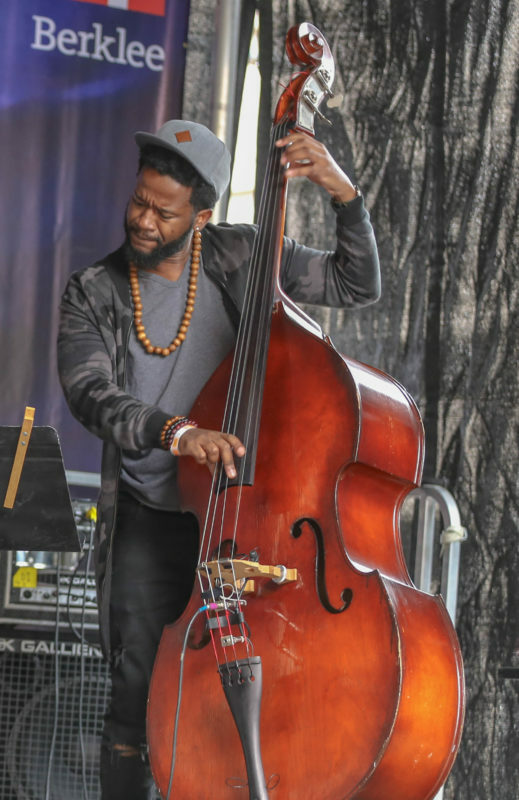 You can see more of his photos on his Instagram page or his Facebook page.